Tall fescue (Festuca arundinacea Schreb. ), a long-lived grass with short underground stems, is presently grown on approximately 5.5 million acres in Kentucky and on approximately 35 million acres in the south central United States. It is a versatile plant used for livestock feed, lawns, turf and conservation purposes, and is adapted for a wide range of soil and climatic conditions. Kentucky 31 is an economical, low maintenance Tall Fescue variety that is unique for its increased heat tolerance when compared to other fescue varieties. 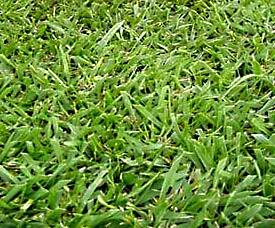 It has a coarse texture and light green color, is easy to establish, and tolerates both wear and drought. In 1931, Dr. E.N. Fergus discovered Kentucky 31 tall fescue, as it was later named, growing on the W.M. Suiter farm in Menifee County in eastern Kentucky. Dr. Fergus obtained about a pound of seed from Mr. Suiter which he seeded on the University of Kentucky Experiment Station farm in 1932. The seed for the original planting on the farm presumably had come from a seedsman in Virginia, and a patch of the grass was likely growing on the farm when Mr. Suiter purchased it in 1887. Since it had been growing in Menifee County for many years, Dr. Fergus had no doubts about the plant's climatic adaptation.